During their visit to Japan regarding the ongoing project with JICA aimed for early screening and prevention of breast cancer in Serbia, Serbian health minister Prof. Dr Tomica Milosavljević and State Secretary Ms. Nevena Karanović met with the officials from JICA, Ministry of Foreign Affairs of Japan and other medical institutions in Tokyo, to discuss the formats and possibilities of cooperation in the medical field. We also had a pleasure of having Minister Milosavljević and his associate as our guests in the Embassy. 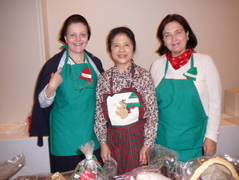 Mrs. Ivona Mrkić, wife of the Ambassador, took a part in this year's Christmas Charity Event, organized by International Ladies' Benevolent Society in Prince Hotel Akasaka, where she presented some Serbian food and specialties. 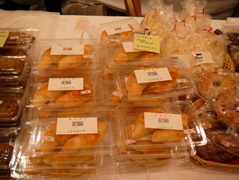 Following the perfomance in Tokyo in October, Mrs. Etsuko Tsunozaki, wife of H.E. Mr. Toshio Tsunozaki, Ambassador of Japan to Serbia, held another concert in Commemoration of the Tour in Serbia 2010, this time in Amagasaki in Kansai region. As in their previous perfomance, Violinist Mrs. Tsunozaki, Pianist Ms. Motoko Koizumi and Tenor Mr. Takashi Nakamura introduced famous traditional and modern Japanese songs, which they also perfomed earlier this year in Serbia, and reports on the Tour in Serbia with video and photo shows. One of the objectives of the concerts, organized under the auspices of the Embassy of Serbia in Japan, is to raise the funds for organizing the tour of Serbian famous choir "Barili" from Pozarevac in Japan, in 2013. On November 13, 2010 First Counselor of the Embassy of Serbia, Mrs. Snezana Jankovic held a lecture on Serbia's integration into the EU at the Aoyama Gakuin University. The lecture was part of a two day symposium on EU and its enlargement organized by Prof. Dr. Kumiko Haba, expert on EU. On the occasion of 125 years of Chuo University, Rector of the Belgrade University, Prof. Dr. Branko Kovačević, together with Vice Rector Prof. Dr Marko Ivetić, Dean of Faculty of Architecture Prof. Dr Vladimir Mako, former Dean of Faculty of Philology Prof. Dr Slobodan Grubačić, Vice Dean of Faculty of Philology Prof. Ljiljana Marković and their associates, Ms. Branka Janda Marković and Ms. Ljubica Stamenković, took a part in the celebration event and met with dignitaries of this Japanese university, which nurtures close and active collaboration and exchange programs with Belgrade University. Delegation also had separate meetings and talks with highest representatives of the Tokyo University of Foreign Studies, Tokyo University, Waseda University, Toho University, Ito and Tokyo Foundations to discuss the current cooperation. Prof. Kovačević and his colleagues visited our Embassy as well.